Two young women take a road trip to the reading of the will of the matron of the social care home they grew up in. I use the word ‘charming’ a lot when I’m talking about film, but perhaps the adjective has never been more appropriate than when applied to the animated opening of Daniel Stine’s (writer/director) Virginia Minnesota. A gorgeous cartoon which tells of Vikings and lost children, detailing a folklore which will become a narrative factor in the ensuing movie, the prologue has everything I’m all for: brave little girls, scary woods and the spiky shadows that lurk within them. Lovely stuff. Shame then, that when the Sendak-style animation wraps up, we have to leave this beautiful fantasia for the boring old real world. Well, I say real world, but with its twinky-twanky banjos, damaged (but pretty, always with the pretty) female protagonists, and quirky little accretions like a talking-robot backpack, we are firmly within the realms of mid-American indie. And, as usual, this means a road trip structure, and so we follow Lyle (Rachel Hendrix) and Addison (Aurora Perrineau) as they travel from one place to another in order to, of course, confront their past. 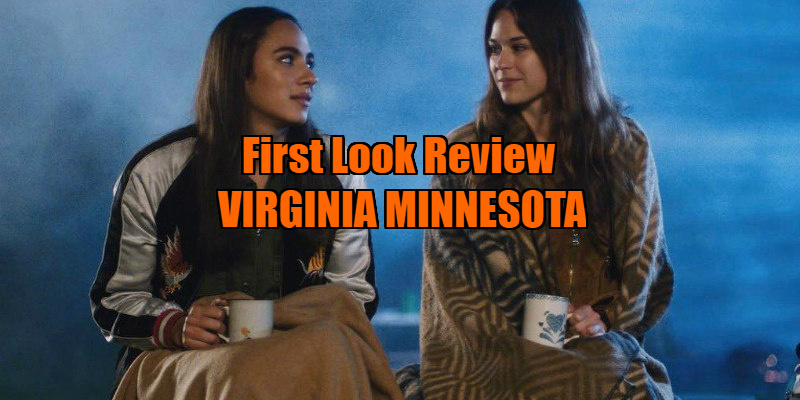 It seems unsporting to reveal details of Virginia Minnesota’s storyline: in an endeavour to create momentum and enigma, pertinent plot points are kept from us, and gradually revealed as a build towards the film’s would-be cathartic end. Suffice to say that both Lyle and Addison grew up in social care, living at a residential home along with several other kids, and that a) the matron of the home has died, with the reading of her will providing the MacGuffin for the movie; and b) something awful happened involving a little girl, a boat, and one of our main characters. It takes a long time to get to any anti-climactic denouements though, with Virginia Minnesota’s narrative proper comprising of a meandering, episodic picaresque of kooky incidents and adventitious adventures. We first meet Addison, for example, when she’s running away from her fiancé. This scene occurs in a sort of Renaissance fayre, allowing Addison to hide among the various stalls and performances as her fella shouts her name. Why does Addison kick him in to touch? Dunno. It’s just that all women in indie dramas are supposed to be unhappy with their lot, aren’t they? We find out later that Addison is probably gay, but there is no given reason why this forthright young woman, who thinks nothing of jacking a drug dealer’s car and is a characteristic foil to the more repressed Lyle, would deny her sexuality by marrying off to a jock. Ah well, it fills up some screen time. As does the sequence where the women find some sort of cake in the pusher-man’s car. Hilariously it turns out to be one of those ‘hash brownies’ people eat nowadays and so soon the girls are tripping as they drive down the highway, swerving across the road and trying to make sense of a world melting before their dilated eyes. Haha, they could have killed someone!!! Cray, indeed. It carries on in this vein throughout. Virginia Minnesota is an Instagram feed of a movie, a tumblr post of self-obsessed young people going about their photogenic but variably diverting business. 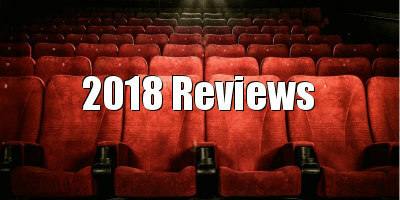 The rando nature of the film - we see monsters, various musical performances, the aforementioned animation - smacks less of ambitious and controlled innovation than a film put together within a bohemian community where everyone is given a go (the banjo player, the people who can walk in stilts; i.e., the ‘monsters’). This doubling down on ironic quirk also ultimately subtracts from the theoretically emotive ending of the film’s resolution, despite, it has to be said, the earnest sophistication of the central performances. The cinematography is similarly superb, but even this is incongruous, as it imbues the film with a grandeur which it does not earn. Watching the cutesy-wootsie happenings of Virginia Minnesota is like listening to an album of those stripped down, low tempo indie covers of your favourite ever songs which they play in fair trade coffee shops or John Lewis adverts, an ersatz experience for consumers predisposed to the safe spaces of irony and self-satisfied whimsy. At one point, during one of the film’s typically kitsch non-sequiturs, a man asks a room of women if they’ve ‘passed gas’. A closer look at the cast list reveals that this inquisitive character is actually played by writer/director Stine. In the case of Virginia Minnesota, he who smelt it, dealt it.